Cooler Master has announced its first range of wireless mechanical keyboards, the SK621, the SK631 and SK651 models. All three models feature Bluetooth 4.0 functionality and have a slimline profile with Cherry MX low profile switches. The SK621, SK631 and SK651 models feature a slim profile mechanical frame with the aim to provide a balance between work and gaming. All three models include the use of Cherry MX low profile switches which have a shorter travel distance and actuation point than standard Cherry MX switches; these switches are based on the Cherry MX Red switches. Users can use these new models either wired or wireless thanks to Bluetooth 4.0 connectivity built-in. Each keyboard comes supplied with a USB Type-C USB cable. The SK621, SK631 and SK651 keyboards also feature per-key backlighting and surrounding light bars which can be customized through its Portal software. 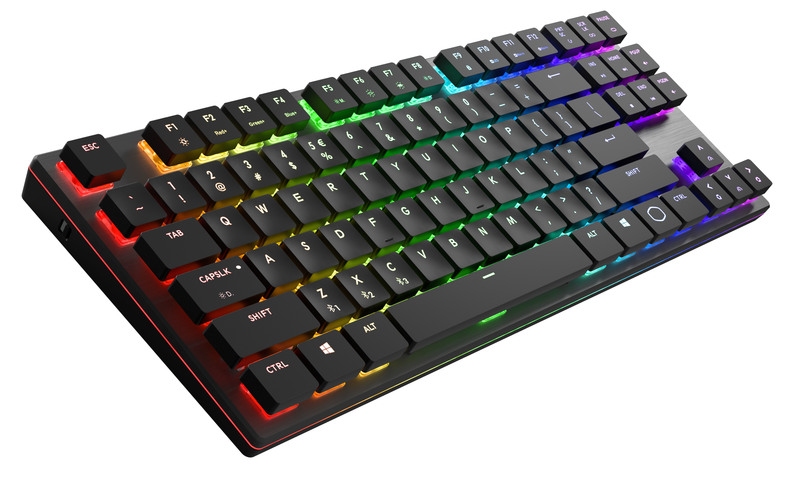 The SK621 has a 65-key layout, the SK631 is more compact with a tenkeyless design and the SK651 features a full-sized layout, but keeping in with the SK series thin design. Availability and pricing information is currently unknown at the time of writing.